At the edge of Carr Mount Estate only a few minutes walk form the Barn, Byre and Cottage sits the river Esk. The river Esk is a clean healthy river supporting a wealth of wildlife. Salmon spawn right up through Eskdale with a number of leaps enabling them to pass through the weirs. Around Whitby the Esk has a large population of sea trout amongst many other species. 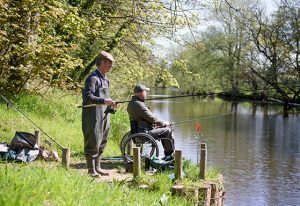 Carr Mount Estate has three purpose built fishing platforms including one with disabled access, we encourage anybody from novice to experienced to come and enjoy this tranquil and relaxing sport. 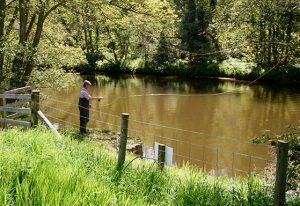 For the keen fisherman/woman we can also arrange further fishing trips to various locations including sea, lakes and river. Please check well in advance for availability. 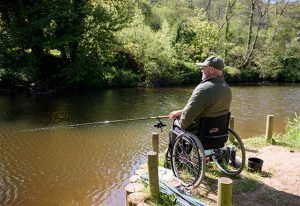 Rods and equipment can be supplied and licenses can be obtained locally. Please contact Philip for further information, availability and pricing.